A true neighborhood in every sense, Logan Square is a special place for community living. When you’re moving to Logan Square, you’ll find small-scale streets lined with re-purposed historic homes, and you’ll be able to walk or bike to just about anything you need. Logan Square is known for being all about “local.” Its restaurants, bars, cafes, and gardens celebrate unique contributions from all its residents, so the neighborhood is a welcome spot for outside visitors too. Logan Square residents number around 178,000, with an equal balance of genders. The average age is around 31, and the community’s home to a sizable number of families with children. Residents’ education and income levels make up a pretty even spread. In Logan Square, people of diverse interests, skills, and life stages come together to make a colorful, cohesive whole. After the Chicago Fire of 1871, Logan Square grew to house a wave of immigrants from Germany and Scandinavia. Other cultural groups moved in as time went on. The neighborhood continued to thrive until the mid-20th century, when road re-configurations made it tough to access. In 1961, the Logan Square Neighborhood Association was founded to encourage locals to revive the area themselves. The Association is still active today. Now you’ve got the gist, here are some highlights—and basics—we found to help you start your Logan Square life. Palmer Park: Historic lush green space. Logan Square Farmers Market: Every Sunday, year round. Paseo Prairie Garden: Community garden on the next level. The Logan Theatre: Classic movie theatre with full bar and special screenings. Comfort Station: Open art center for multiple media. Uncharted Books: Used books, plus space to write and socialize. Logan Arcade: Ages 21 and over. Ramen: Furious Spoon. Look out for their noodle classes. Mexican: De Noche (for dinner). Breakfast and lunch at Cafe Con Leche next door. Sandwiches: Same Day Cafe. Short menu has something for everyone. Seafood: Sink|Swim. Stunning space, oyster happy hours. Farm to Table: Lula Cafe. One of the classics. Closed Tuesdays. Reservations Only: Giant. Simple food at its absolute best. Wine: Webster’s Wine Bar. Those beers were local, these wines are global. “Dive”: Best Intentions. Deceptively low-key. Serves food. Dive: Cole’s Bar. Stand-up, open mics, live music and art lessons. Tiki: Lost Lake. Tropical spot for the depths of winter. Half Italian Grocer: Italian grocery & deli. Simply the best. Tony’s Finer Foods: Family-owned chain. Supermercado Barrera: Local one-strop with Mexican groceries. The Dill Pickle Food Co-op: Local products. New Wave Coffee: Punk themed and family friendly. Gaslight Coffee Roasters: Buy a bean subscription. Chiya Chai Cafe: Full chai menu, plus full meals. Logan Square Fitness: Local, offers equipment and classes. Orangetheory Fitness Logan Square: The basics. Logan Square Dog Park: Features local art. This has been a tiny sampling of the great things you’ll experience at your new Logan Square home. 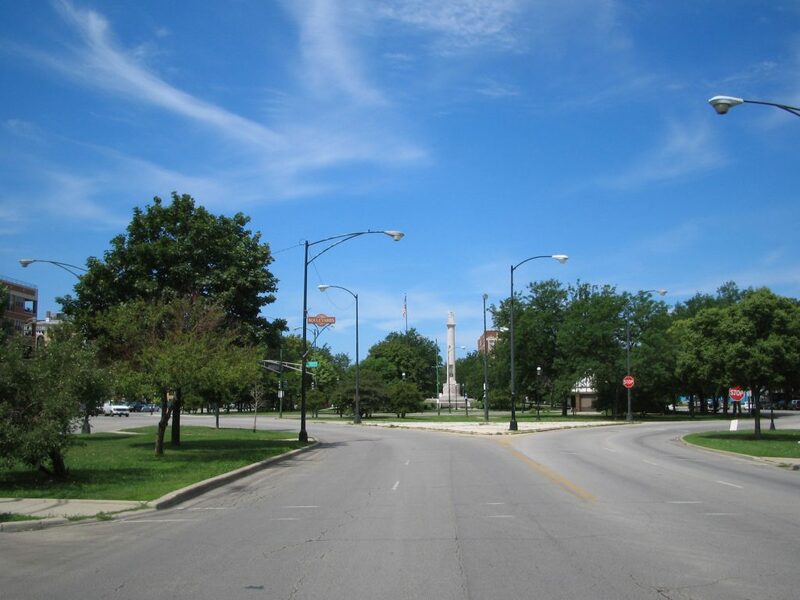 As a seasoned Logan Square moving company, we’ve learned all about the staples and cool places in the area. We’re happy to share more! As you’re planning your big move, cross one major thing off your to-do list, and book Logan Square movers who’ll a take load of stress off your mind. Call us at New City Moving, and we’ll help you move safely, smoothly, and on-schedule, so you can settle right in and start living your greatest Logan Square life.